Whether a small business, a major corporation or even a non-profit organization, you can join the numerous local businesses and organizations that run United Way campaigns each year. 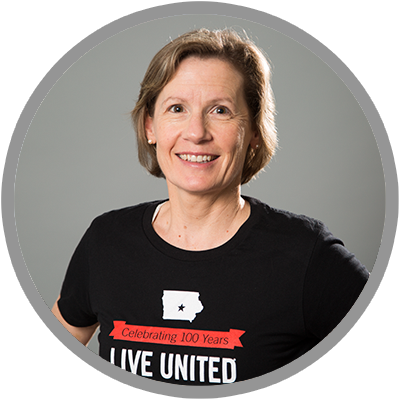 Participating in a United Way campaign will give your organization the opportunity to learn firsthand about the needs in central Iowa as well as provide rewarding team building experiences through volunteerism. Every workplace campaign is different and can be shaped around your organization’s culture. Setting up and running a campaign is simple, and we can help you every step of the way. Check out our Campaign Best Practices Guide for great campaign ideas, and visit our Campaign Toolkit for campaign resources. Connect employees to our work and show them how they can get involved. Interested in running a United Way campaign at your workplace? Hundreds of employers throughout central Iowa run a United Way campaign in their workplace each year. It's a great way to offer your employees a way to give back to our community easily and in a way that will have real impact locally. If you'd like to learn what it would take to start a campaign, fill out the form to the right and we will contact you to talk it over. "Want more information about how to have a successful United Way campaign in your workplace? Contact me."